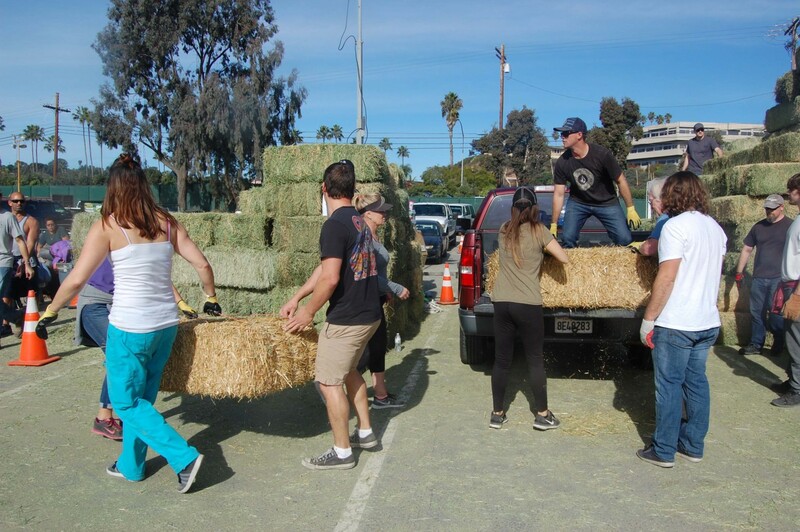 Volunteers unload truckloads of bedding and hay at the Del Mar Fairgrounds. DEL MAR — The 22nd District Agricultural Association, which governs the Del Mar Fairgrounds, praised staff members and the community at the Dec. 12 meeting for their efforts after the state-owned facility became an evacuation center during the Lilac fire. “We went from chaos to sanctuary,” President Russ Penniman said. “There were horses with no owners and owners looking for horses. “On behalf of the board, thank you to the staff for your extraordinary work during an extraordinary event and for the tremendous support from the volunteers and all the donors in the community who pitched in,” he added. “What was impressive to me were all the familiar faces that we all see over here on a day-to-day basis, running all the different departments. Del Mar Horsepark began taking in evacuated animals and people on Dec. 7 around 1:30 p.m., about two hours after the fire started on Old Highway 395 at Dulin Road in Bonsall. But space was limited at that facility, east of Interstate 5 off Via de la Valle, because of an ongoing horse show. About 30 horses were housed there before the fairgrounds began receiving evacuees. “We have a great team of people,” fairgrounds General Manager Tim Fennell said. “You pick up the phone and say, ‘We’ve got to get going,’ and within an hour the team is out there. We’ve got people from every department jumping in and helping and keeping it well organized. It was at least the third time the fairgrounds has served as an evacuation center since 2007. 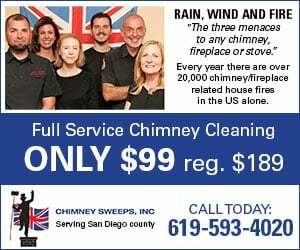 With fires blazing in other parts of the state — and Santa Ana winds that fuel them picking up in San Diego — officials began advertising on social media on Dec. 5 that the facility would be ready should a wildfire begin in the county. The fairgrounds took in more than 250 thoroughbreds from San Luis Rey Downs training center in Bonsall after fire destroyed at least half of the barns there. Horses were set loose so they could escape the flames. Approximately 600 more animals, including goats and pigs, were proactively brought to Del Mar. They were soon followed by hundreds of volunteers, some who had stayed at the fairgrounds during previous evacuations. “We truly couldn’t have done it without them,” Penniman said. Donations also came pouring in after the needs were advertised on traditional and social media, including “an abundance of apples and carrots,” Penniman said, as well as feed and bedding by the truckload and clothing for the grooms who left San Luis Rey with only the clothes on their backs. Even more amazing, Penniman added, was that within 48 hours the fairgrounds was back to business as usual, hosting holiday parties, a gun show and a county music concert. Dan DeSousa, director of the San Diego County Department of Animal Services, became emotional when expressing his gratitude. “You guys have been a Godsend to us and the community,” he said. “As part of disaster response, people will not leave their homes if they know their animals cannot come with them. The fairgrounds also received letters of thanks from the California Horse Racing Board and California Thoroughbred Trainers. “I know from personal experience how important to the equestrian community the 22nd District has always been,” wrote Alan F. Balch, executive director of the latter. “Your response in this situation is another in a long, long series of community-minded ‘rescues’ and in this instance, I don’t know what we would have done without you. “(Y)our readiness was one of the few things we could count on,” he added. Fair board Director Lisa Barkett thanked state agencies from the governor’s office to the Department of Food and Agriculture for their recognition. Joe Harper, president of the Del Mar Thoroughbred Club, said displaced horses from San Luis Rey Downs will train at Del Mar until the Bonsall facility is rebuilt, hopefully within a month. The fire, which is expected to be fully contained by Dec. 21, encompassed 4,100 acres, destroyed 157 structures and damaged about 64 others. The cause remains unknown.